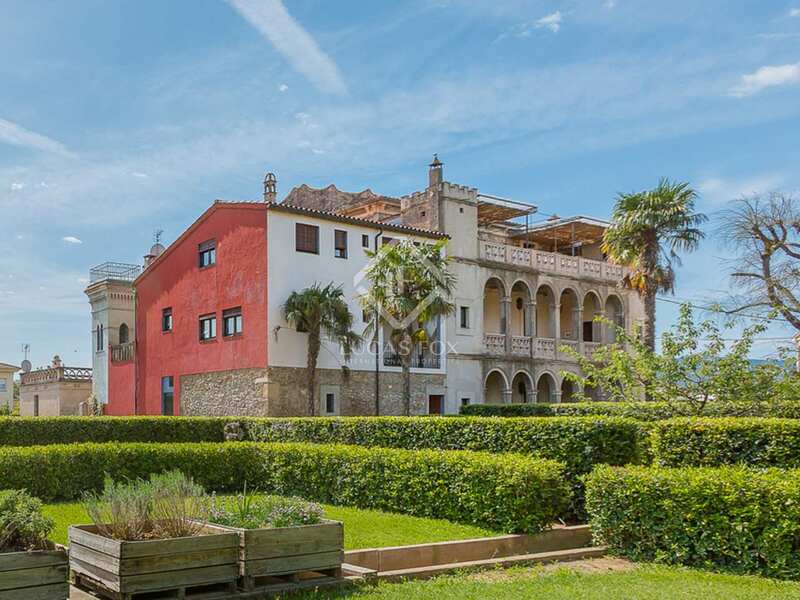 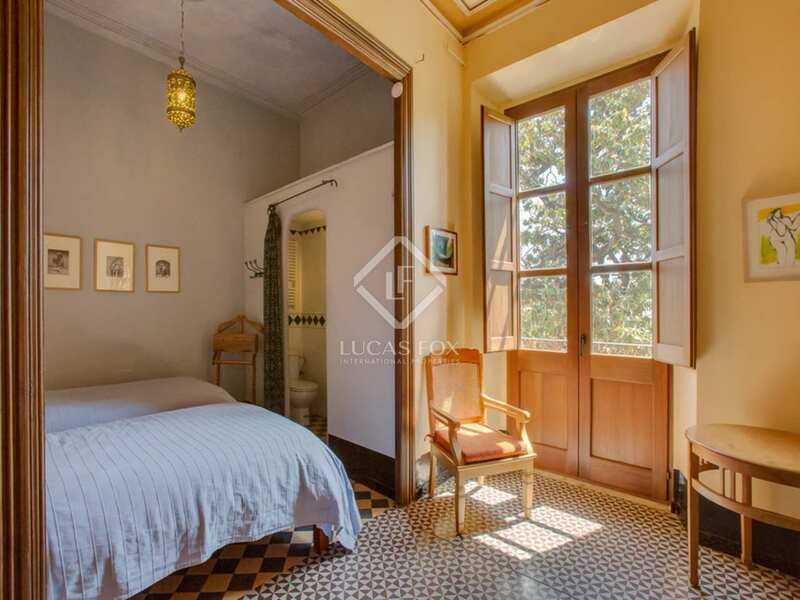 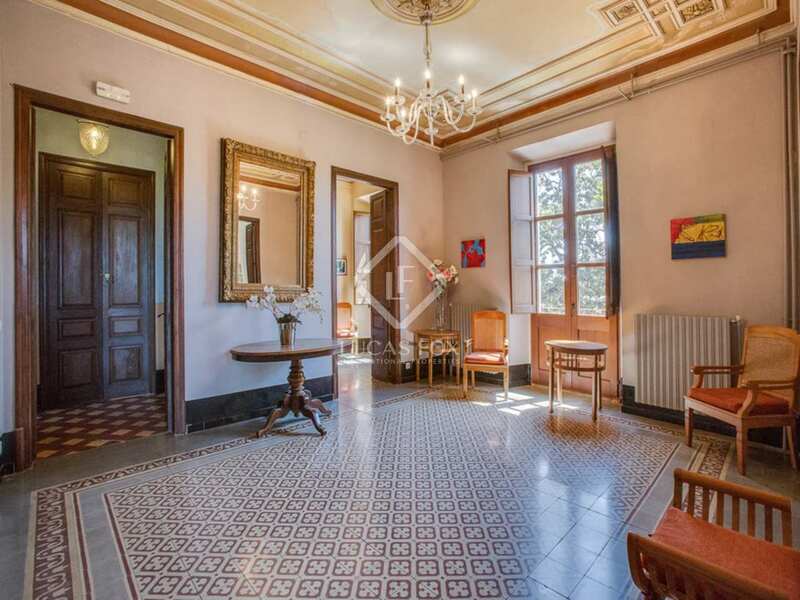 Large 14-bedroom Girona property for sale with a walled garden with a swimming pool, 2 individual apartments, attractive views and excellent access to Girona city and the Costa Brava. 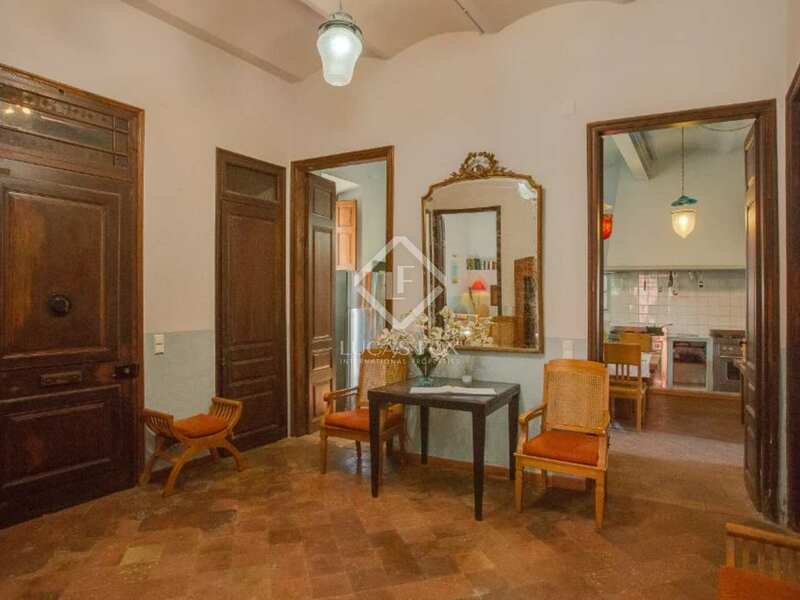 Ideal hotel business. 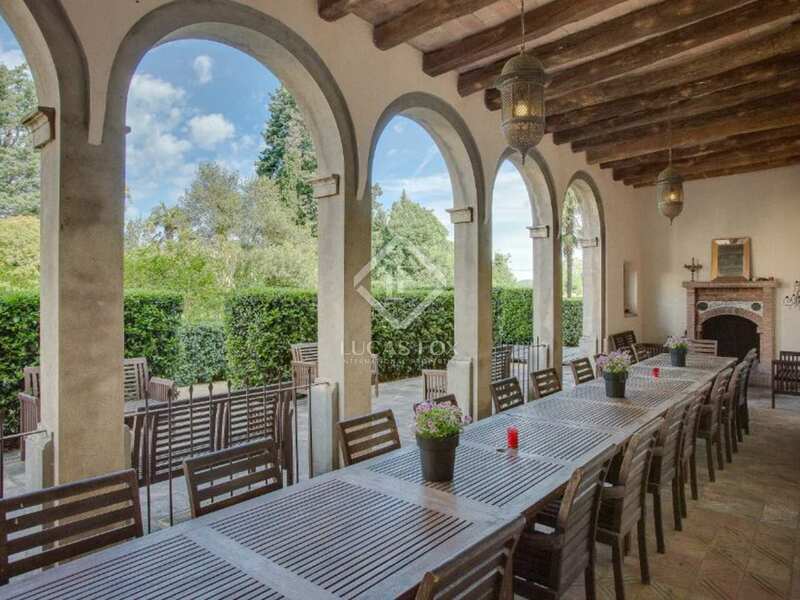 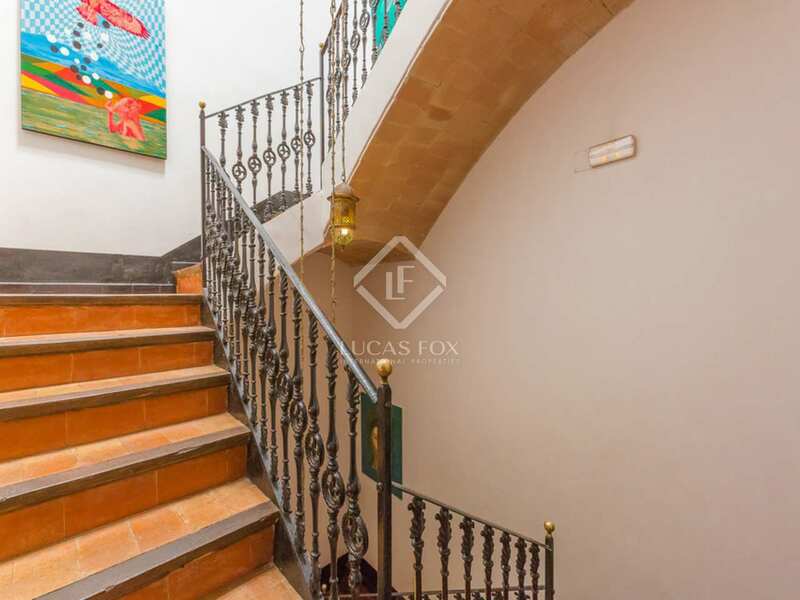 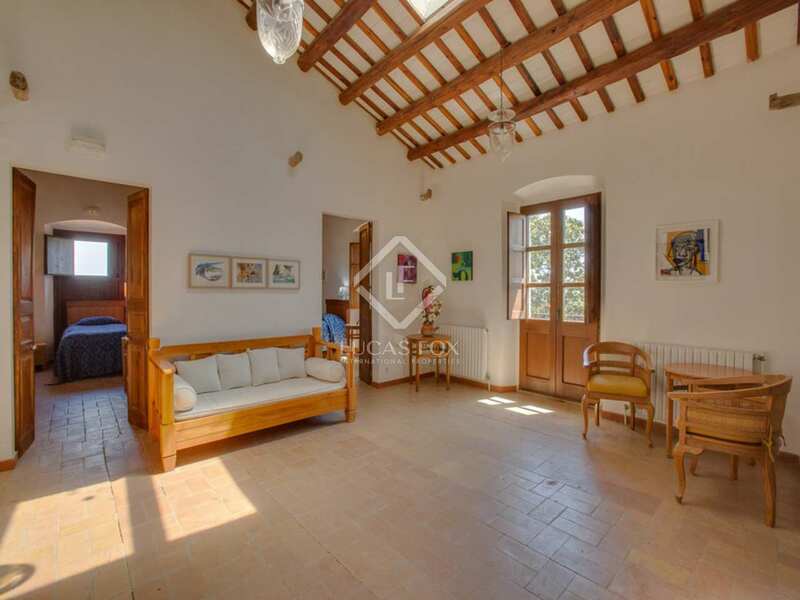 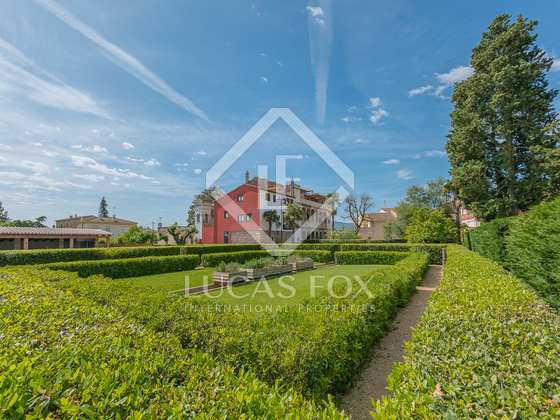 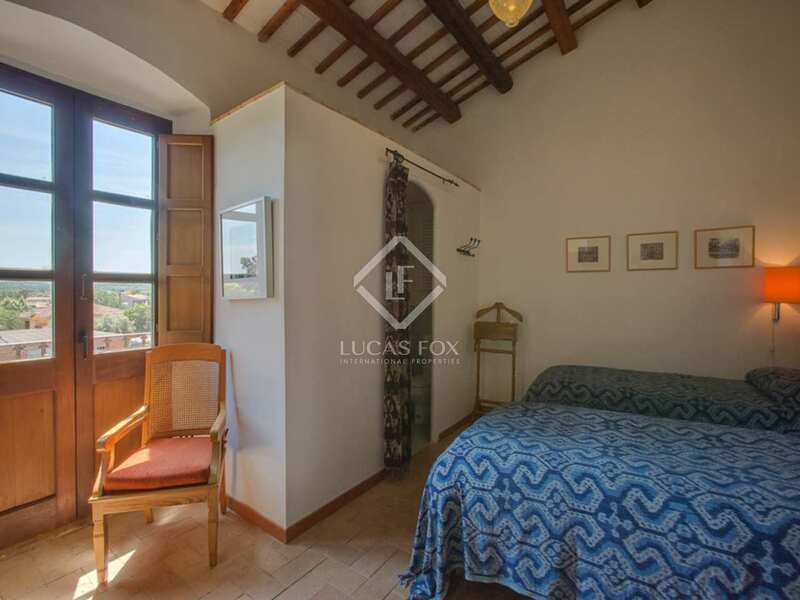 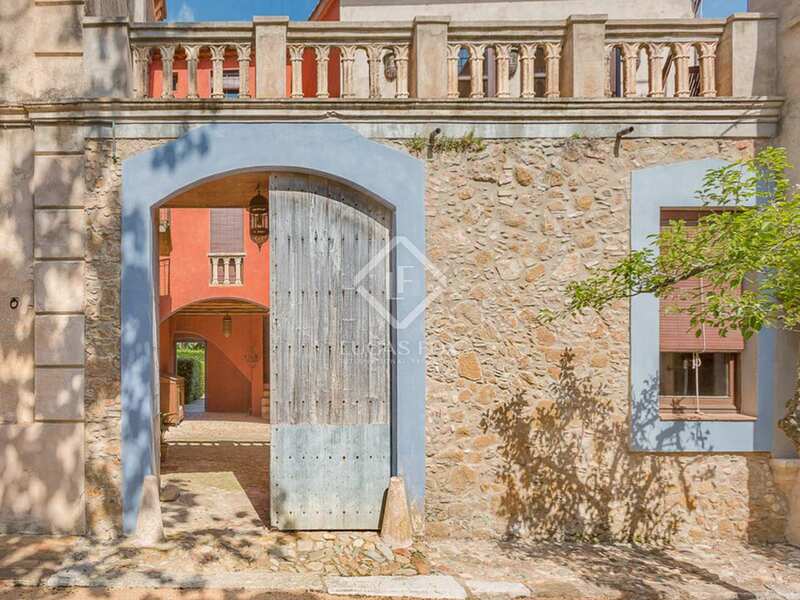 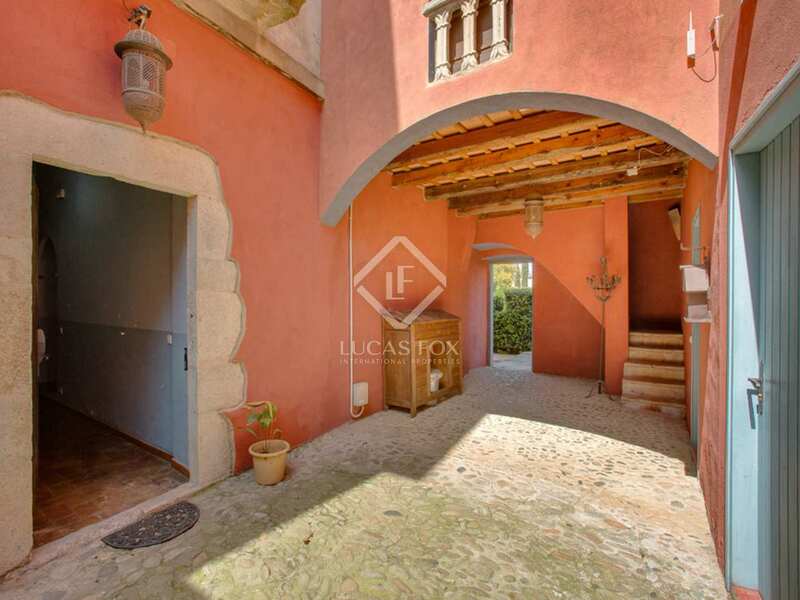 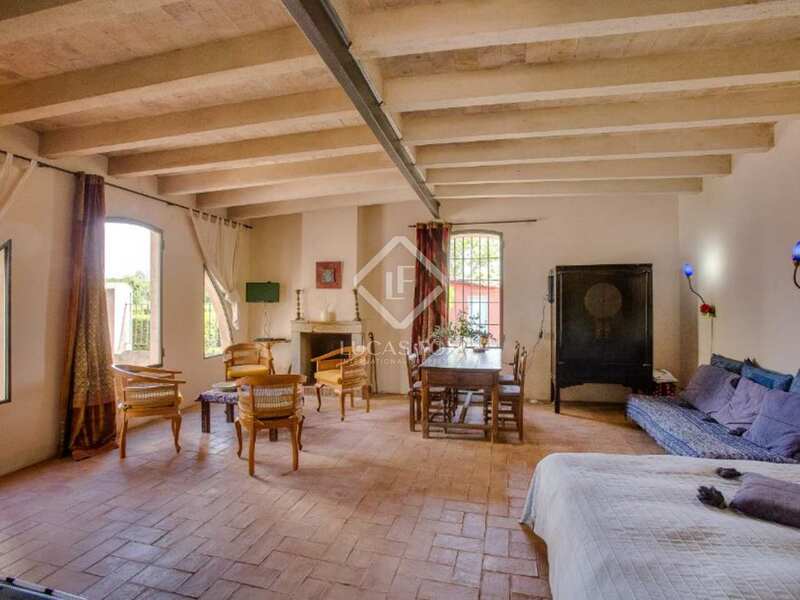 Originally constructed at the end of the 19th Century, this superb Girona property to buy is located on the edge of a village just 15km from the historic city of Girona. 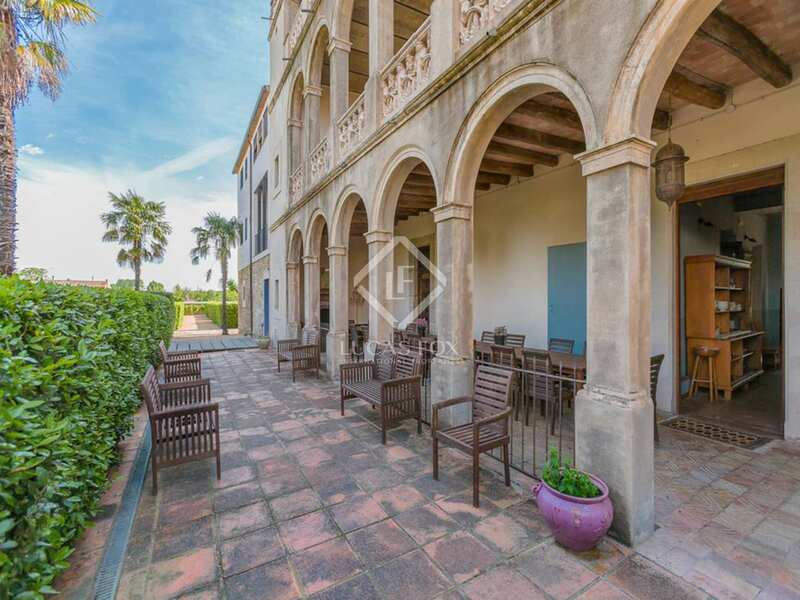 The property was constructed by a wealthy businessman who, like many Catalans of his time, returned to Spain in the late 1800s having made his fortune in the Americas. 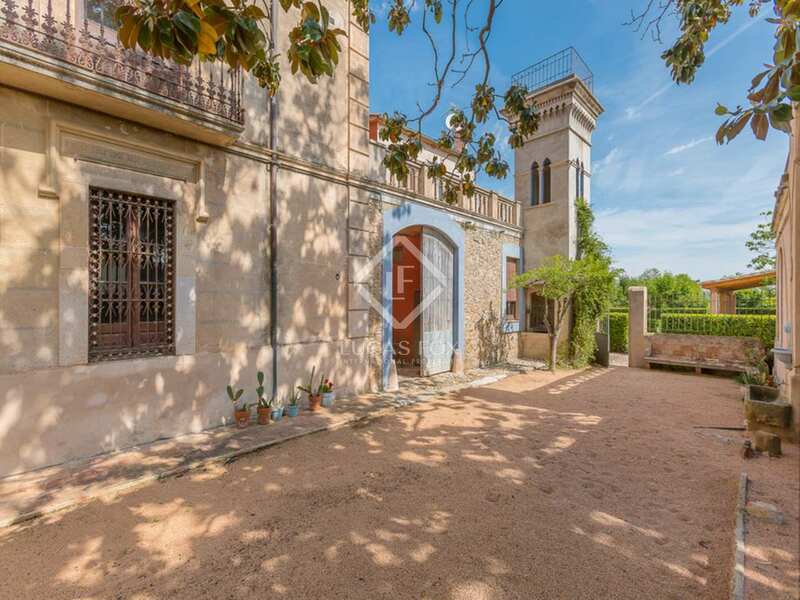 The property retains a distinct Colonial feel, including large arched terraces on the main facade. 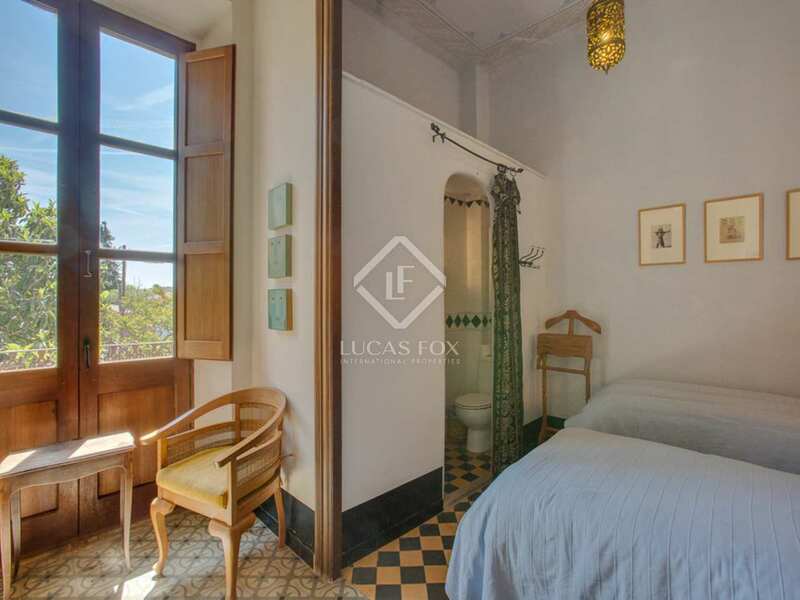 The current owners have preserved many other original features, including the original floor tiles and beautiful, fresco painted ceilings. 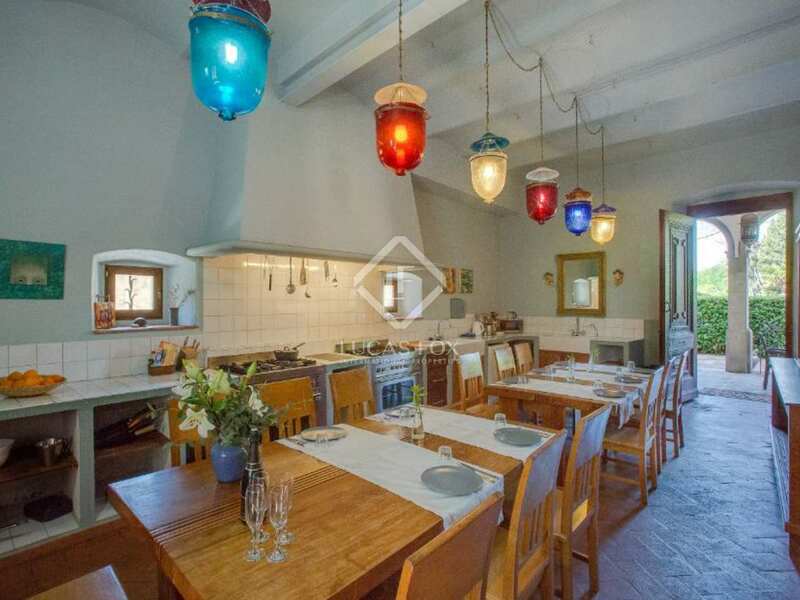 The property is currently run as a guesthouse, with accommodation divided between the 8-bedroom main house, two separate apartments and an additional single storey cottage - now used as the Manager's accommodation. 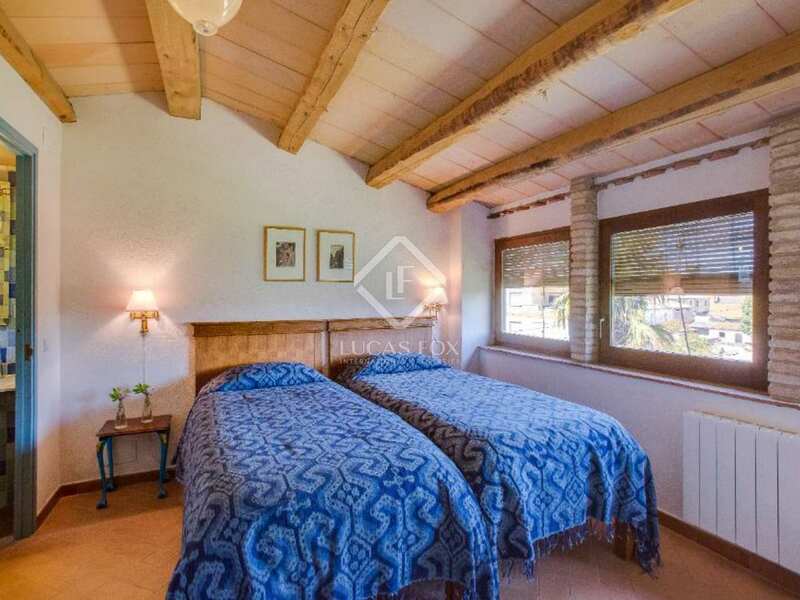 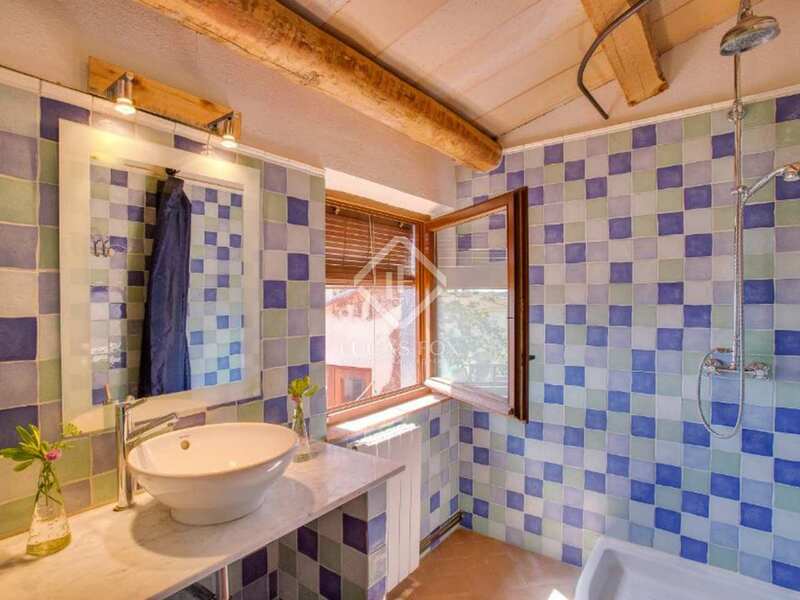 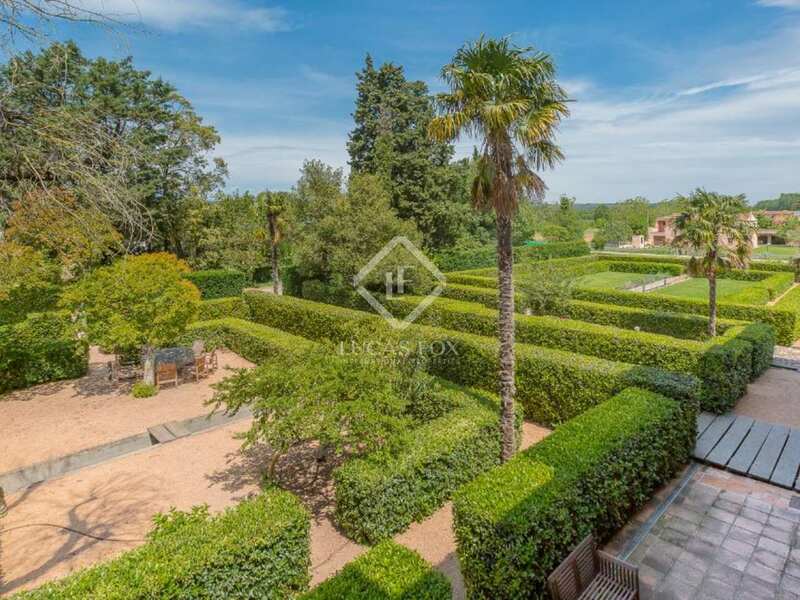 The property is ideally located for this type of business, being just 10-minutes from Girona city and 30-minutes from the nearest beaches of the Costa Brava. 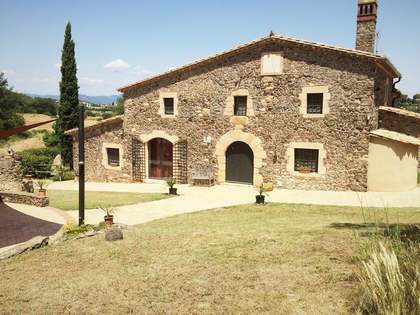 The property is also ideally located for visitors to explore the beautiful countryside of the Baix Emporda - an area with stunning Medieval villages and rich cultural history that attracts visitors from all over the world. 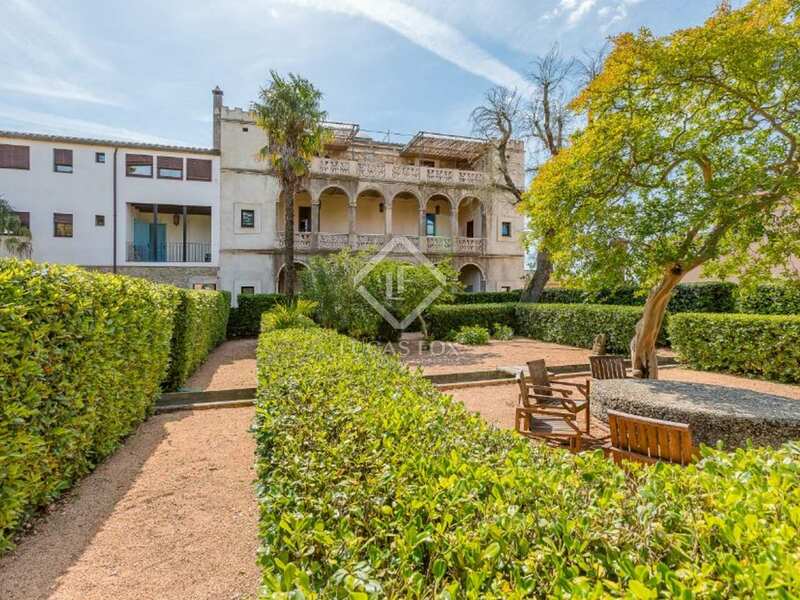 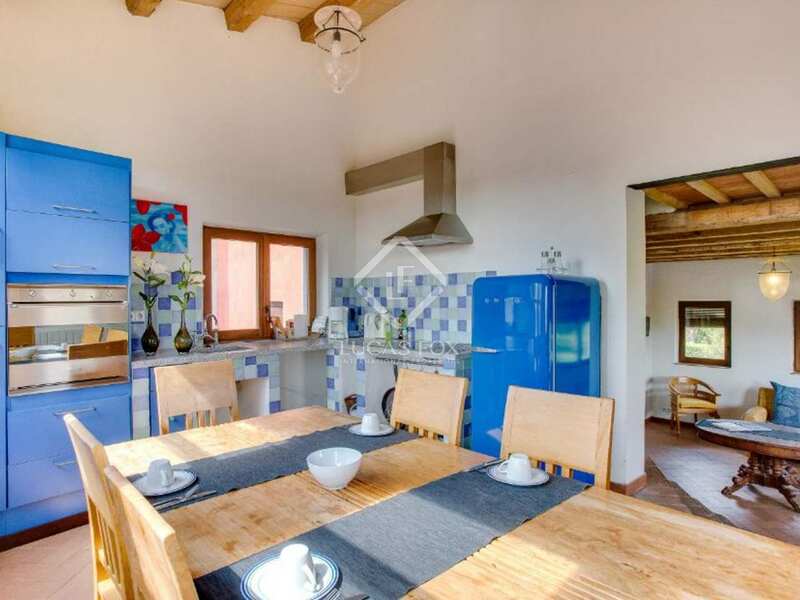 The area is also popular with professional cyclists (Lance Armstrong frequently trained in the area) and the property would make a superb base for pro or amateur cyclists to discover the surrounding area. 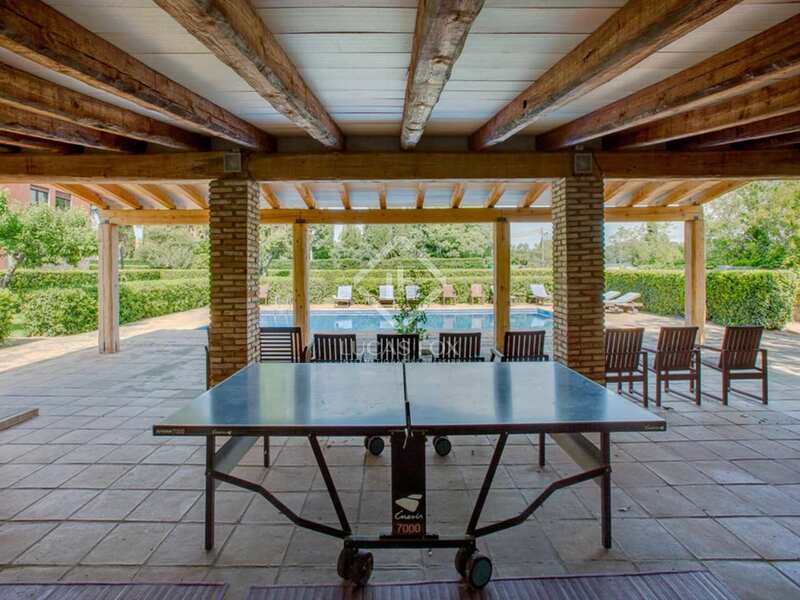 Whilst the original house dates back to over a Century ago, there have been more recent additions, including an annex building (which houses the apartments) constructed in the 1970s and, subsequently, a swimming pool and poolside summer house with bar. 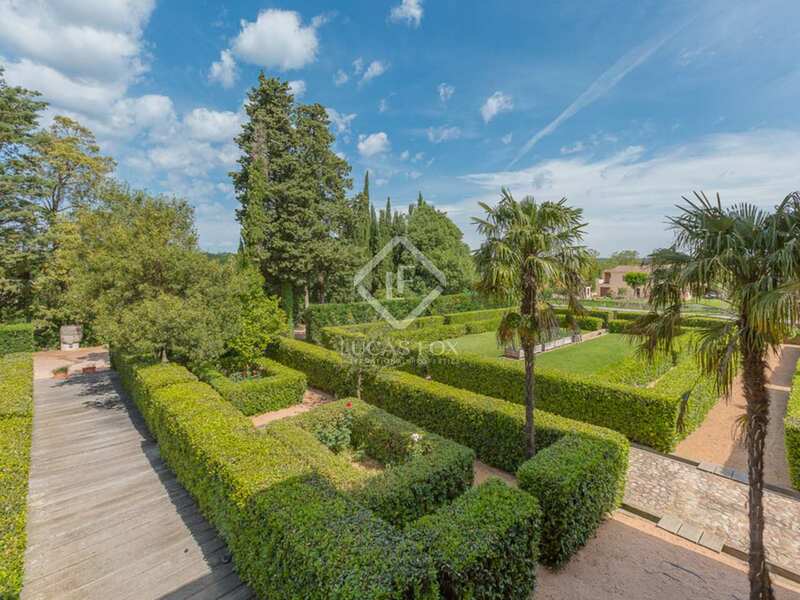 The property sits within a beautiful walled, landscaped garden and boasts a total plot size of 3,640 m². 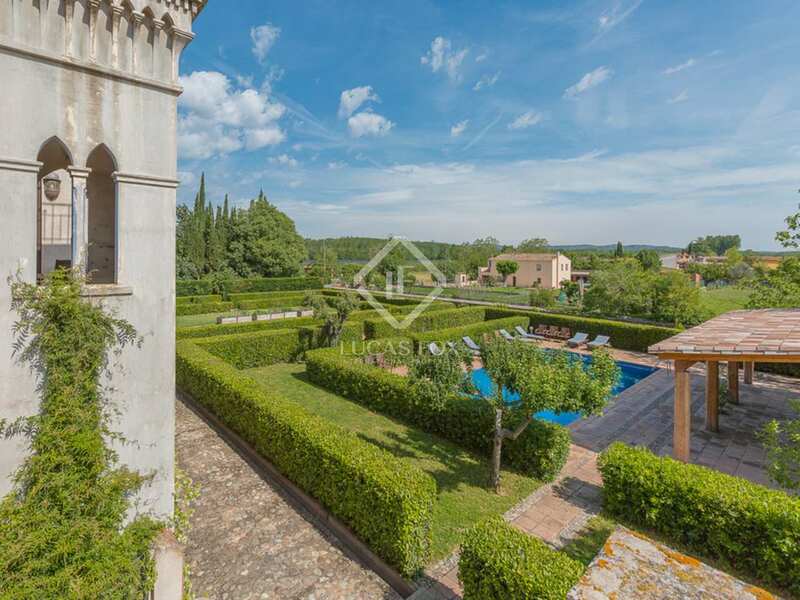 There are numerous different areas of the garden, each offering an enchanting escape for guests, and the location offers complete peace and tranquility. 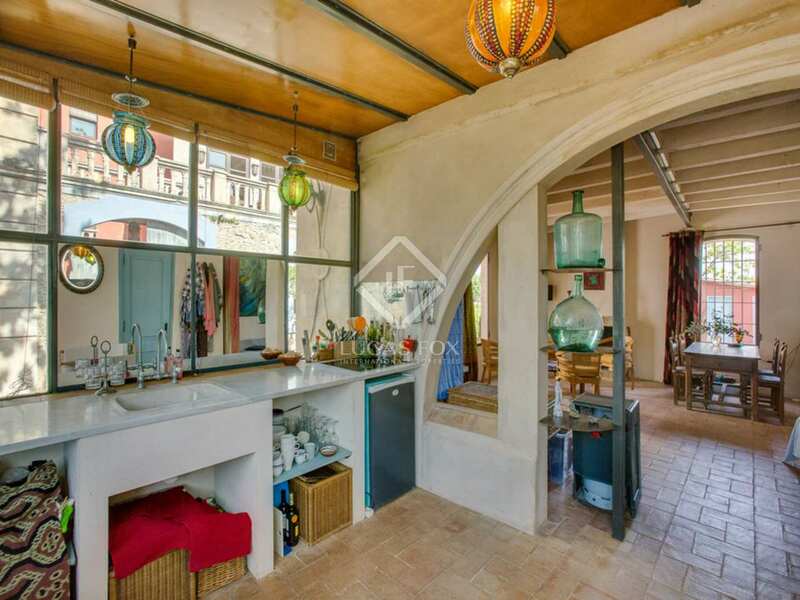 Ground floor: Entry via an impressive gated archway to the entrance hall; small TV/computer room; living room with fireplace and access to the garden; spacious kitchen with dining table for 12 people and direct access to the arched covered terrace with seating for 22; guest WC. 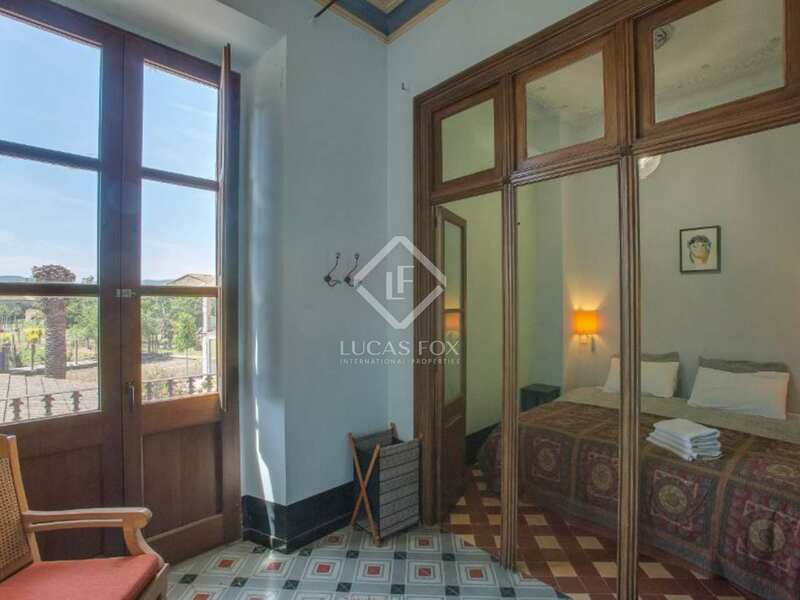 First floor: Reception room; 4 double bedrooms, all with access to a private or en-suite bathroom (2 bedrooms have access to a large terrace); linen storage room. 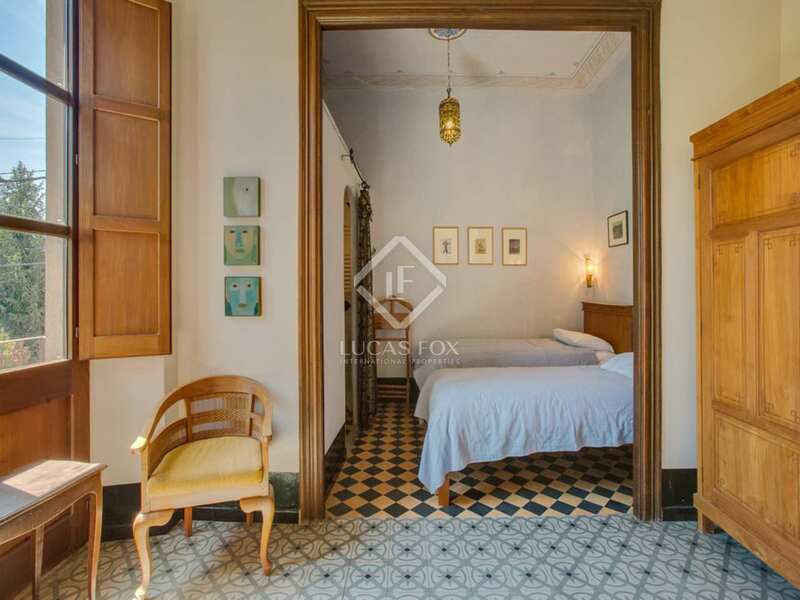 Second floor: Reception room; 4 large bedrooms (2 with access to a large terrace), all with access to a private or en-suite bathroom. 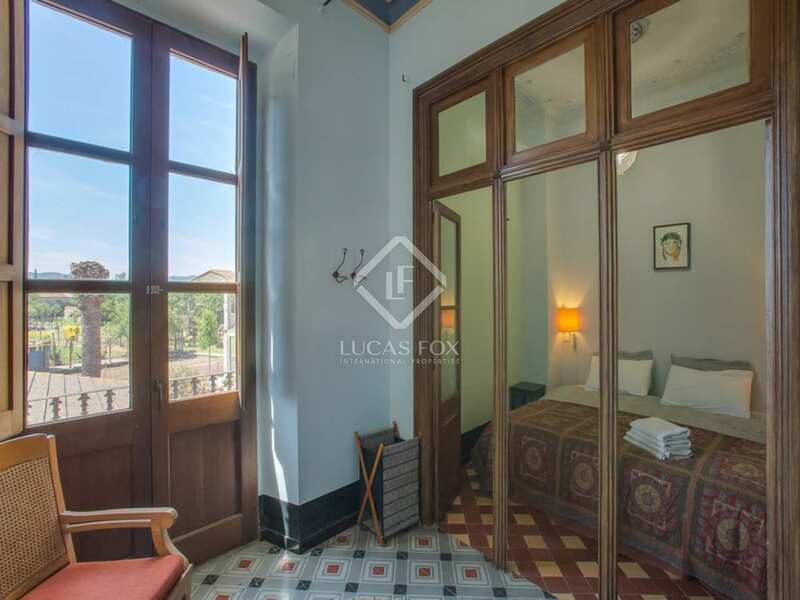 First floor: Double bedroom with en-suite bathroom; living room; kitchen/dining room with access to the terrace; guest WC. 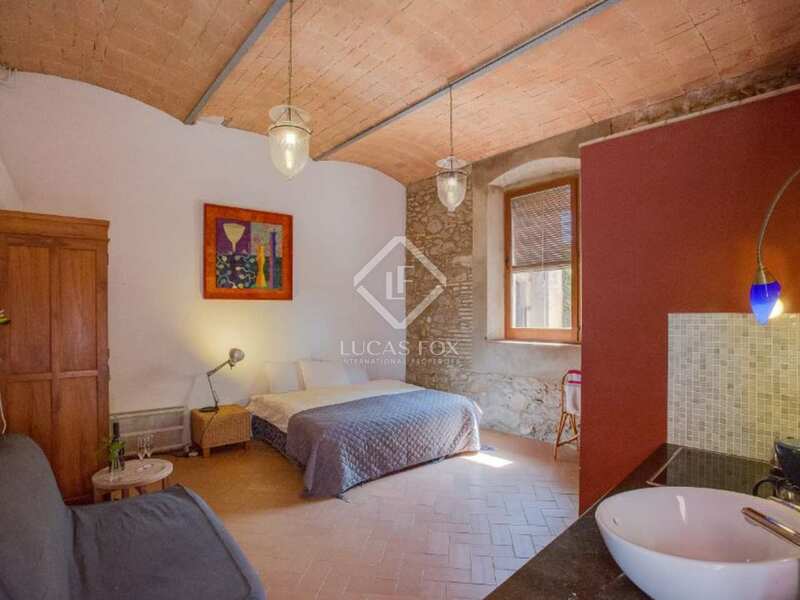 Loft-style studio with kitchen and open plan living room / bedroom with fireplace. 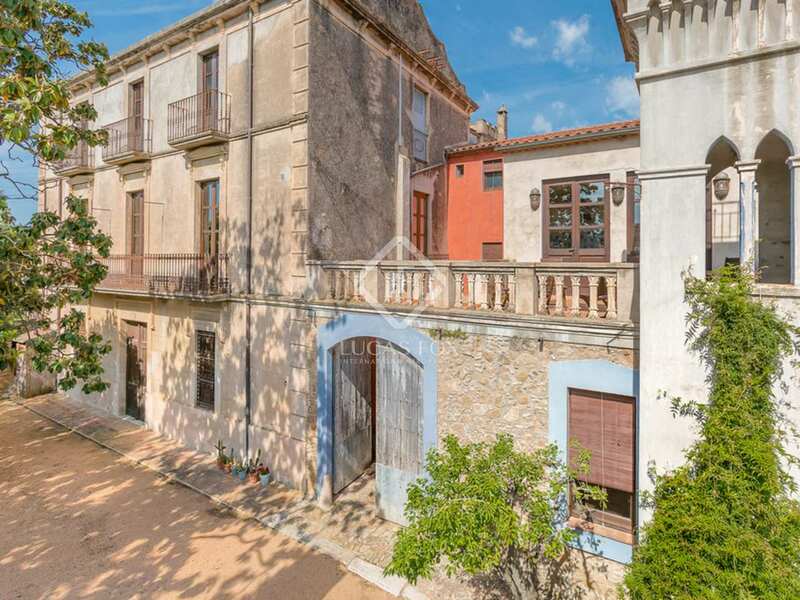 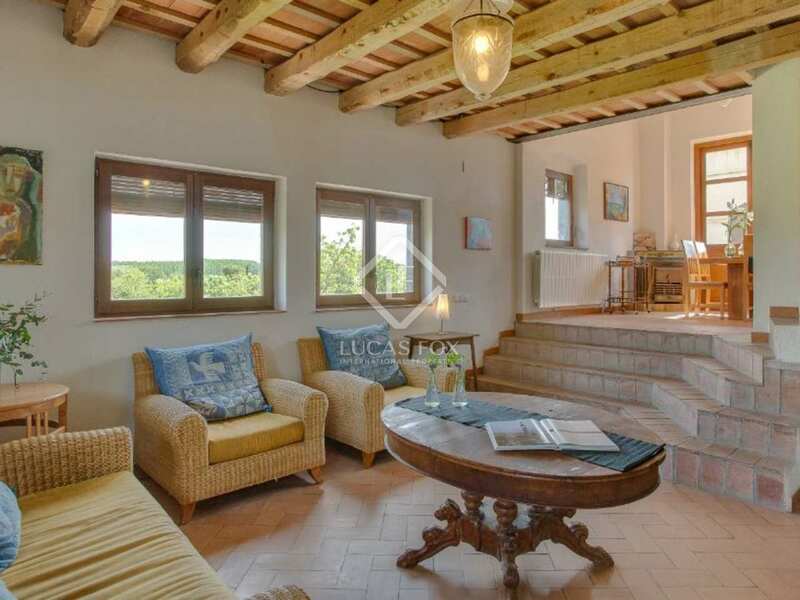 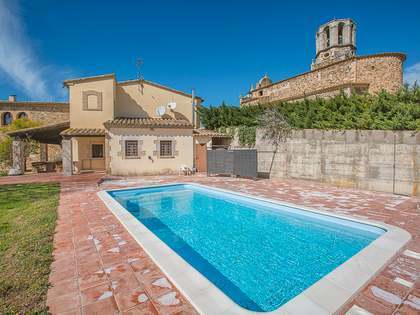 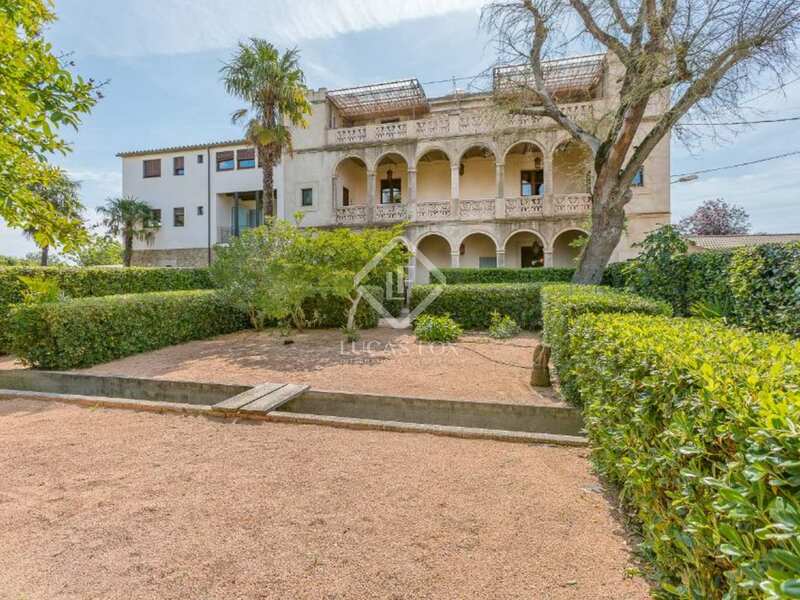 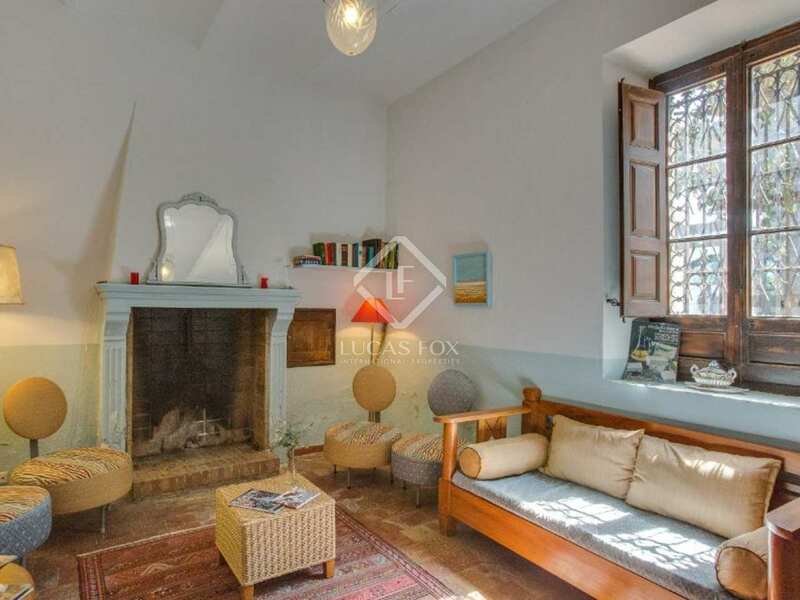 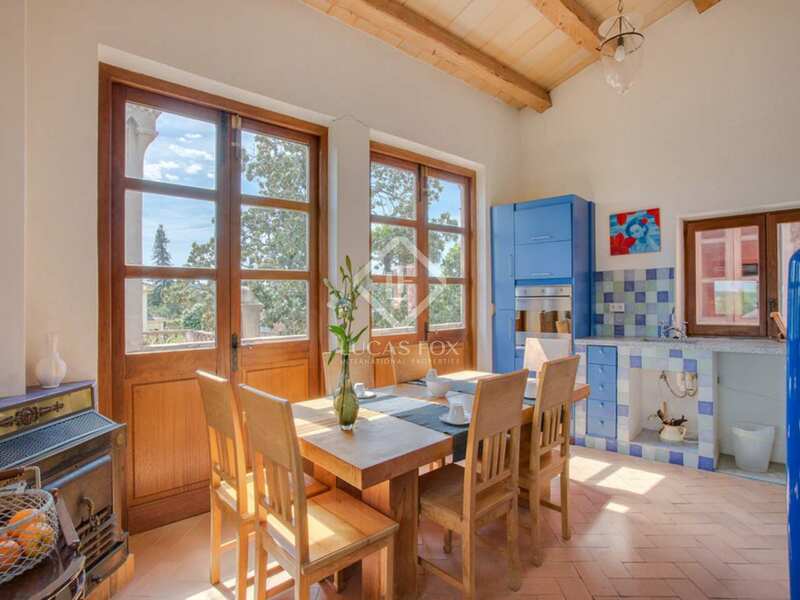 This superb Colonial-style Girona property to buy is ideally located on the edge of a peaceful village close to the city of Girona with superb connections to Girona airport, the French border, Barcelona city and the Costa Brava. 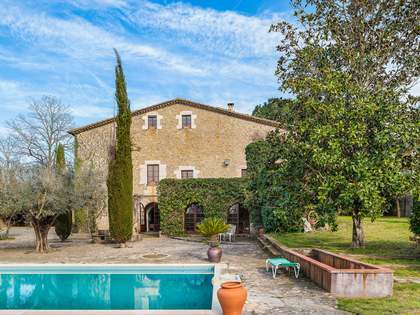 The property is just 13km from Cellar de Can Roca - the world's No.2 best restaurant, 30km from PGA de Catalunya, Spain's No.1 golf course, and only 15km from Girona city - regularly voted by Spaniards as the most desireable city to live in Spain.